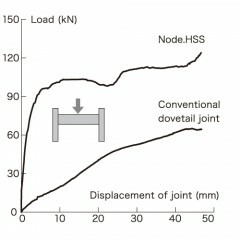 Our Node.HSS reduces loss of sectional area and provides higher bearing force than conventional dovetail joints, realizing around 1.5 times the maximum bearing force. Unlike regular connectors, it prevents early loosening by equalizing the diameter of the tenon and mortise. Likewise, the joint is more rigid than a dovetail joint. It can suppress the gap generated by a 6t load on a beam (240mm depth) into 3mm in comparison to 4cm with a dovetail joint. The reduced deformation in joints implies gaps that can cause squeaky floors are less likely to occur. The size of Node.HSS is designed to be most suitable for small-scale structures, and can also be used for small components in mid to large-scale structures. 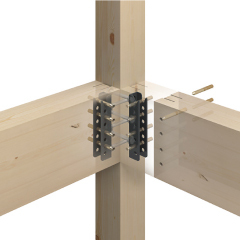 Since the connector is hidden inside the timber and only requires small slits, it can realize beautiful joints even in exposed structures. 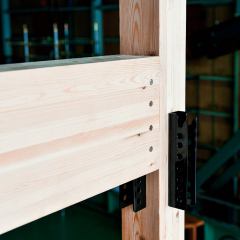 It is also available for the fitting structure of climbing beams or column supports. No reinforcing metal fittings including strap bolts are required. 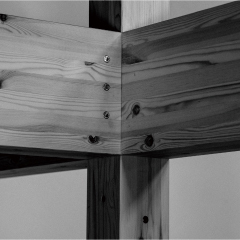 In use with other STROOG connectors, Node.HSS configures a wooden structural frame. 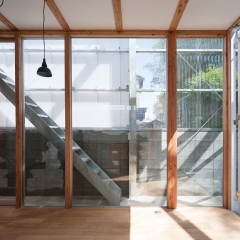 It can configure a wide range of wooden structural frames according to the purpose, scale, and planning of the building. Since it can be used for 90mm x 90mm timber materials, it is also suitable for small-scale constructions such as infills. 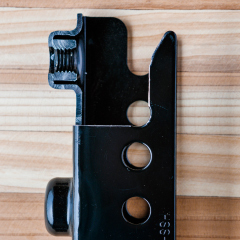 We also provide connectors with nuts pre-welded inside the tenons. As the connectors can be easily added or removed even after construction is completed, they are also suitable for renovations and expansions. 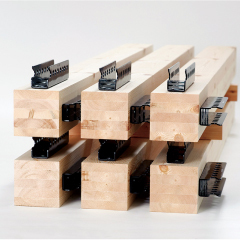 With timber materials processed precisely to fit the connectors from the precut factory, which makes connector installation and construction easier, it can speed up the completion of a precise structural body without requiring extensively experienced skills. 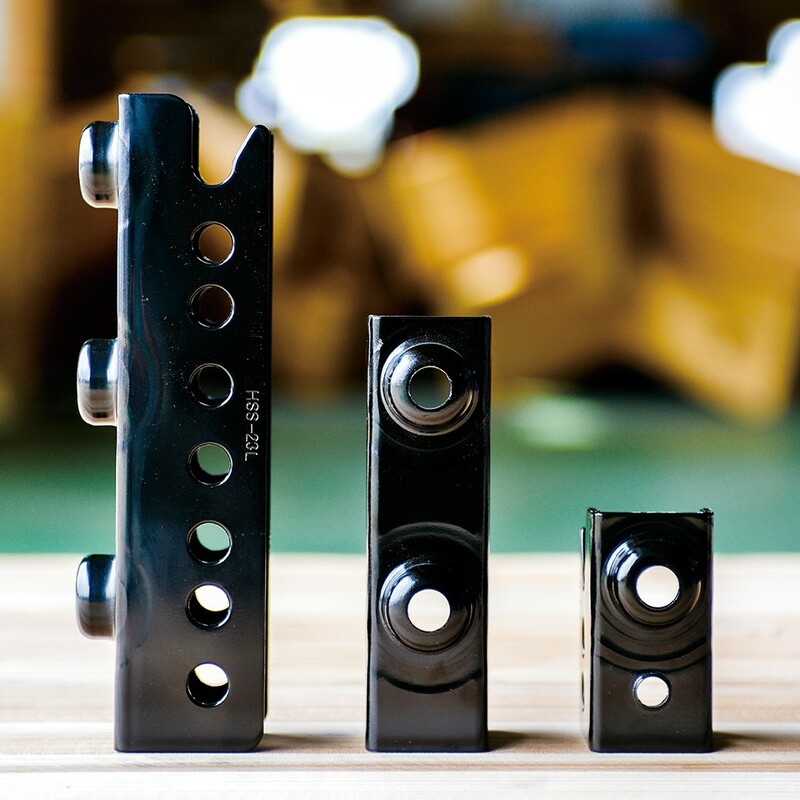 In cases where the connectors are installed to the processed materials at the precut factory, the reduced size of connectors for small-scale structures improves loading efficiency compared to regular connectors. In addition to that, with no necessity to reinforce metal fittings, this reduces time working at height while constructing, which allows for safer construction work.